Will I have to take my case off to use Daydream? If you've used a Samsung Gear VR or Google Cardboard headset before, you're familiar with needing to remove your phone from its case in order to get the best VR experience. Seeing how much more compact Daydream View is when compared to a Gear VR, you probably guessed that you'll need to take your case off to use this headset as well. It turns out that's not true, though. In fact, you can use just about any case you want and Daydream View will be more than a little accommodating. Daydream View is super simple. You open the flap, put your phone in, stretch the elastic strap onto the latch, and grab your controller. There's nothing to connect to a port, so your case doesn't get in the way of connections or cabling. The added thickness created by your case isn't much of a problem either, due to the hinge design Google has implemented. On thicker phones, or phones with cases, you just pull the hinge a little before you put the phone in, and it stretches to meet the depth of the device. So far we've tested this on Pixel phones with several kinds of cases, but the most concrete piece of evidence we've found so far is with the Moto Z Force. Like the thinner Moto Z, the Force allows you to attach Moto Mods to the back of the phone. One of these mods is a battery pack that adds quite a bit of power, but also adds some thickness to the back of the phone. A Moto Z Force with a battery mod is near twice the thickness of a Pixel XL, and it fits inside Daydream View just fine. 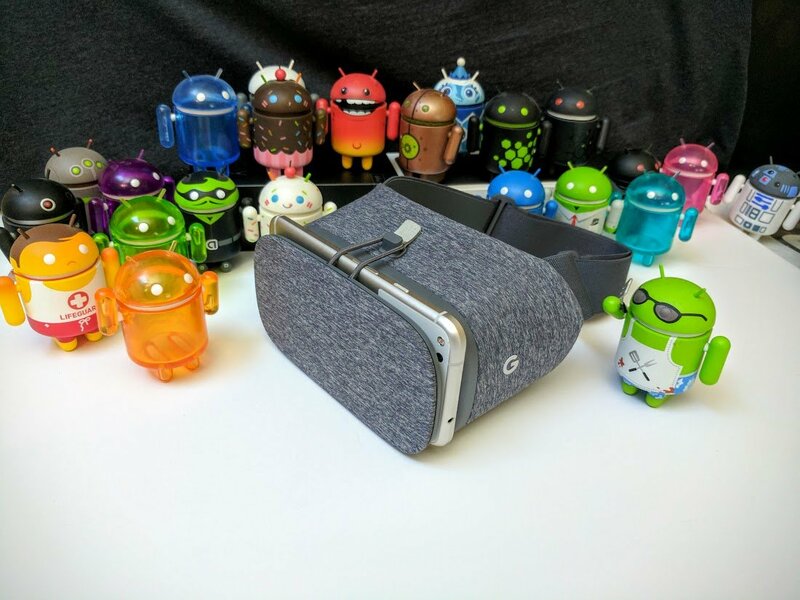 As long as you don't have anything in the way of your screen, your case will be fine with the Daydream View headset. You may lose the auto-launching capabilities over NFC if your case is too thick, but as long as the glass front of your phone touches the rubber nubs inside the enclosure, you'll be diving into VR in no time!